As a modern chiropractic office, we are committed to using the highest quality research and clinical grade chiropractic instrumentation available for the sole purpose of detecting and correcting of interference to your nervous system. 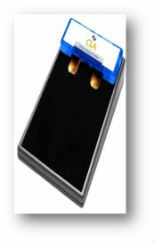 The tools we use for this purpose are SEMG and Thermography. We utilize the CLA Insight Millennium Subluxation Station, which is SPACE Foundation Certified, used by NASA, and is in the locker rooms for the athletes of the NFL, NBA, NHL and NCAA. These tests are non-invasive, and do not cause any pain, and give our doctors a wonderful insight into how your nervous system is functioning. Measures electrical impulses from muscles. 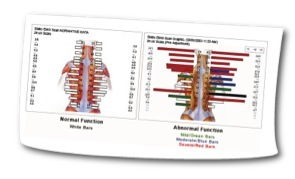 Shows areas of muscle imbalance through cervical, thoracic, and lumbar spine. 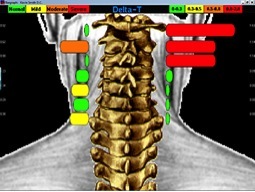 Gives an overall picture of areas of spinal strengths and weakness. Measures heat differences in skin temperature. 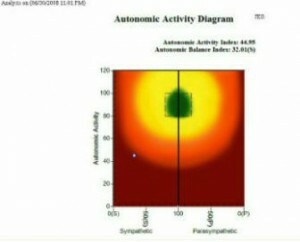 Shows areas of imbalance where nerves are overactive or underactive. Results will also give insight into stress management. 5 minute evaluation of the body’s ability to adapt to stress. Measures heart rate, skin temperature, and skin conduction. Reveals how your Autonomic (automatic) Nervous System is functioning. 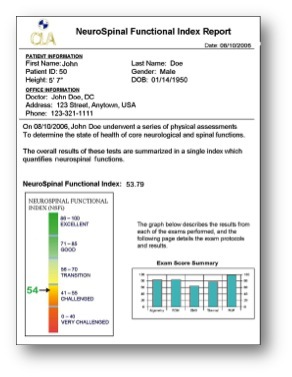 All three tests are used to calculate your NSFi which is an calculated number from 0-100 that rates how your nervous system is functioning and how your body adapts to stress. Contact Precision Spinal Care today to schedule an appointment with your Chesapeake Chiropractor.